It is always a traumatic shock when someone we know or love dies. We are never quite ready to lose a loved one or a friend to death. We all know that death is inevitable, yet we live as if we’re never going to die. Suddenly faced with our loss and our own vulnerability, we still have to carry on and arrange the funeral for our loved one. 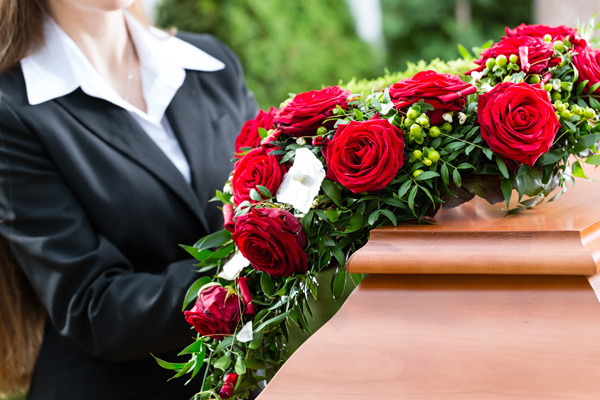 At this time, the service of a caring and thoroughly professional funeral director is essential to ensure that the funeral arrangements are organised and carried out with dignity and sincerity. We can help you arrange the funeral. Our wish is to make our customers feel comfortable in their sorrow and to assure them that the deceased loved one will be dealt with and handled with the greatest attention and respect. The death must be declared within three days at the local Civil Registration Office of the city (Lixiarcheion/Ληξιαρχείο) where the death took place. A civil registry death certificate is issued. The person declaring the death will need to supply the dead person’s identification papers, plus the death certificate prepared by the doctor or the hospital. According to the Greek law, the burial must take place within one month of death. We arrange the transportation of the deceased from the place of death to the cemetery’s facility and take care of the body.